Sometimes it’s best not to mess with a good thing. A square of dark chocolate. A bubble bath. A handwritten letter. 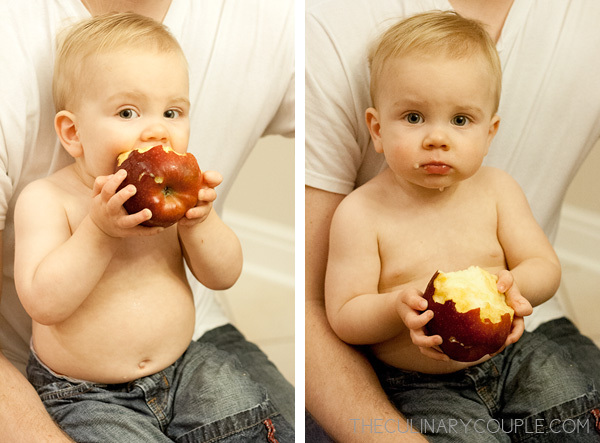 A sweet, crisp apple — especially when it’s being gobbled up by a shirtless baby in blue jeans. And other times you can’t help but enhance the simplicity of those good things. Strawberries covered in dark chocolate. Cocoa scented bubbles and candles. A handwritten letter delivered in person. 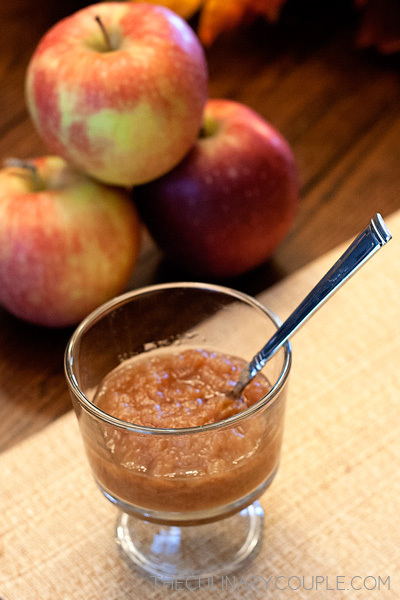 And crock pot applesauce. I had a whole bag of apples sitting on our countertop, and although I believe Sam could have eaten them all, I decided to turn about half of them into applesauce. Just peel, core, and chop the apples. Add brown sugar, a cinnamon stick, lemon juice, and lemon peel. 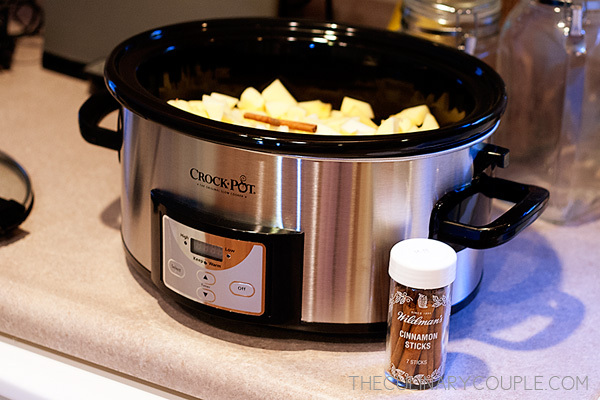 Set the crock pot to low, and within hours, your home will be filled with the lovely scent of fall. Simple and tasty. It’s a good thing. Peel, core, and chop apples. Place them in a crock pot. Add lemon peel, lemon juice, cinnamon stick, and brown sugar. Set the crock pot to low and cook for about 8 hours, stirring occasionally. 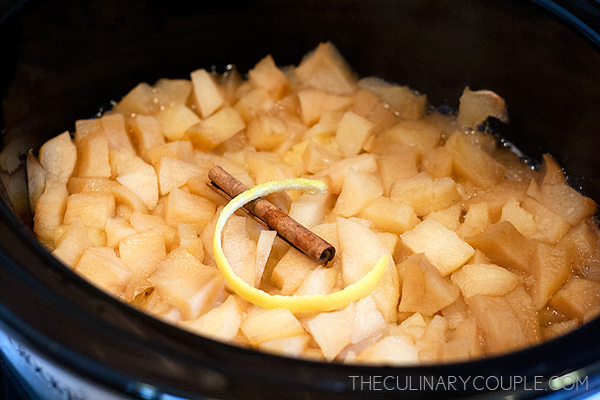 Remove cinnamon stick and lemon peel and blend, if desired. Or, if you prefer a chunkier sauce (which I do! ), serve and enjoy. Yum! Great tip. 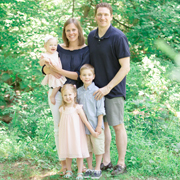 Love anything in our slow cooker! YUM! I’ve been meaning to try that but P has decided that she no longer wants applesauce.